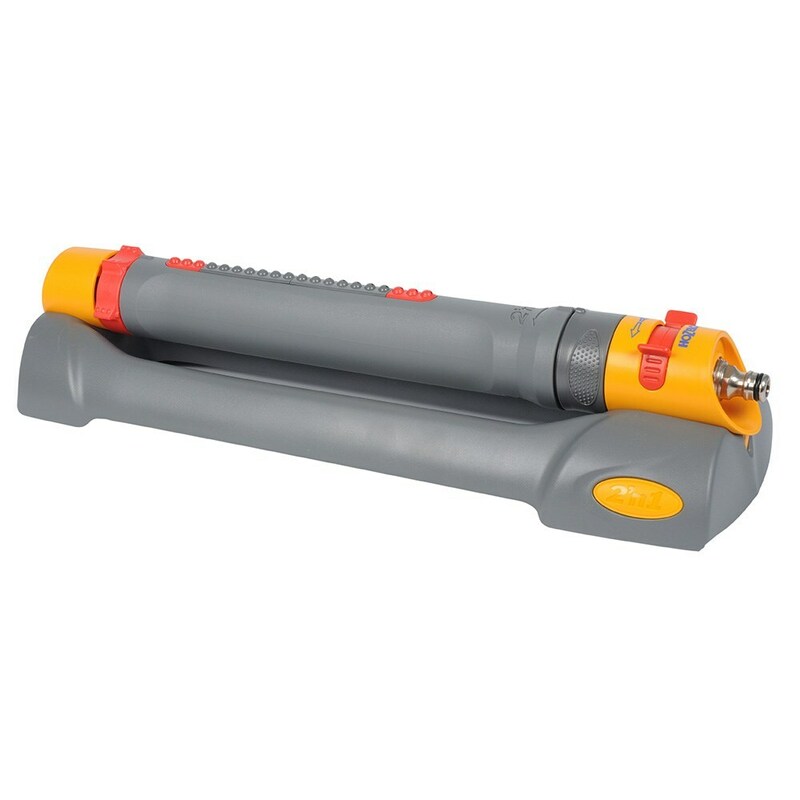 Buy Hozelock rectangular sprinkler pro 200 m²: Effortlessly water lawns, beds and borders with the versatile Hozelock oscillating sprinkler. 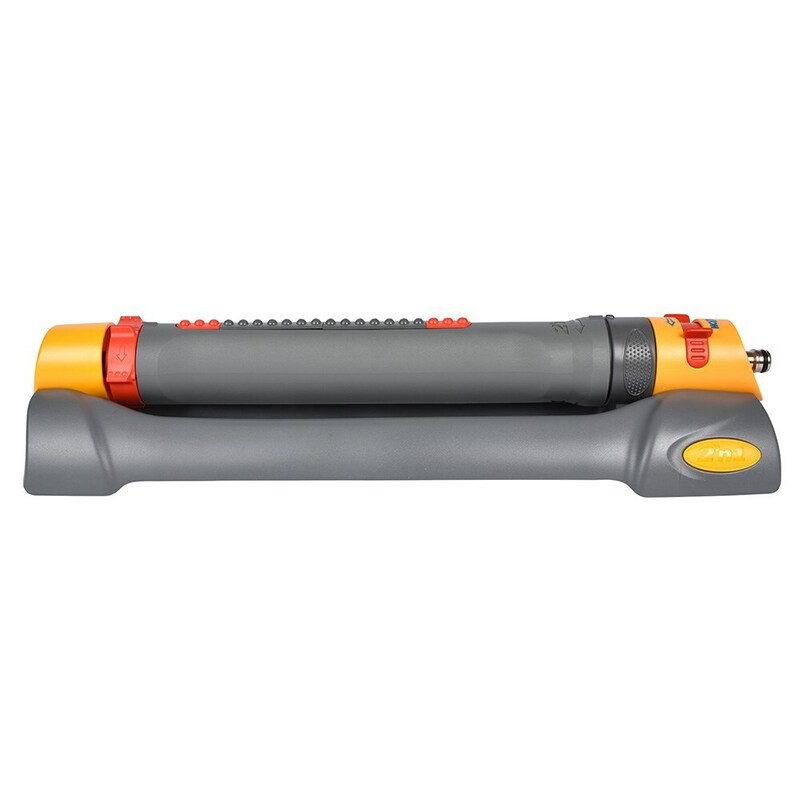 With 20 brass jets, it covers an area of up to 200m² and features adjustment dials to let you alter the spraying range and width.<br><br>A simple twist of the body switches between two spray patterns: a fine mist for fragile seedlings and plants and precise water jets for lawns and beds.<br><br>Fitted with a durable extended male end and an ultra-reliable water-powered gear-drive motor to ensure 100% even water coverage at any water pressure from 1-10 bars. Mounted on a sled base for stability on any surface - ideal for moving around the garden as needed.<br><br>Supplied with a 2-year guarantee. 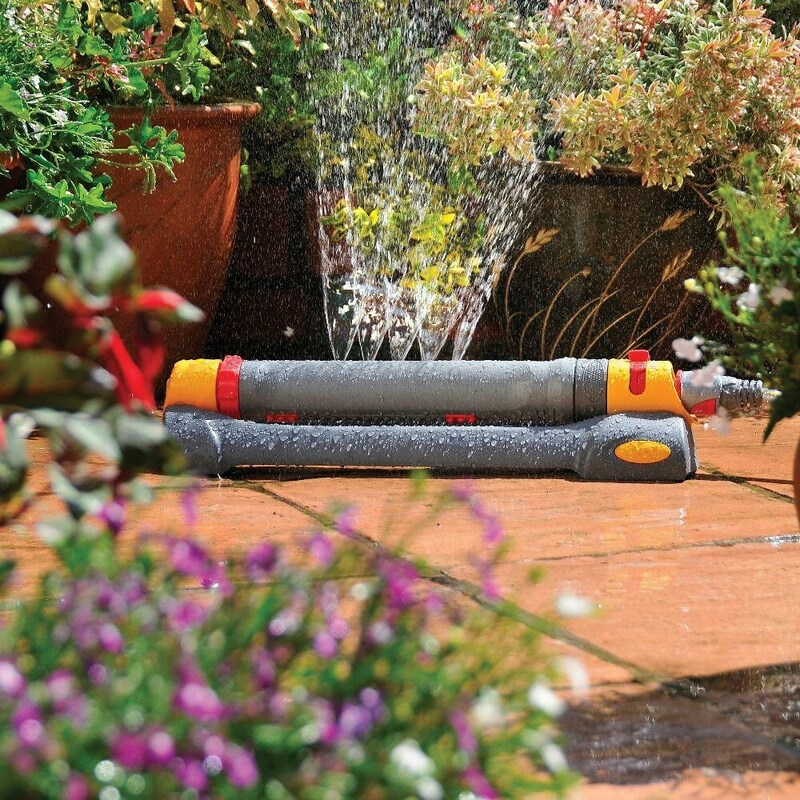 Effortlessly water lawns, beds and borders with the versatile Hozelock oscillating sprinkler. With 20 brass jets, it covers an area of up to 200m² and features adjustment dials to let you alter the spraying range and width. 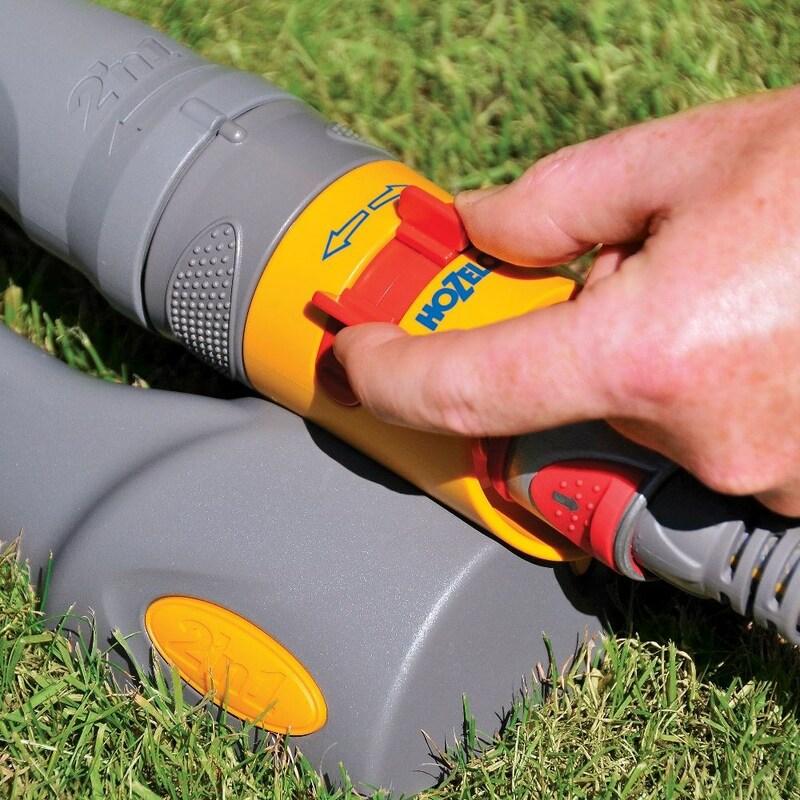 A simple twist of the body switches between two spray patterns: a fine mist for fragile seedlings and plants and precise water jets for lawns and beds. 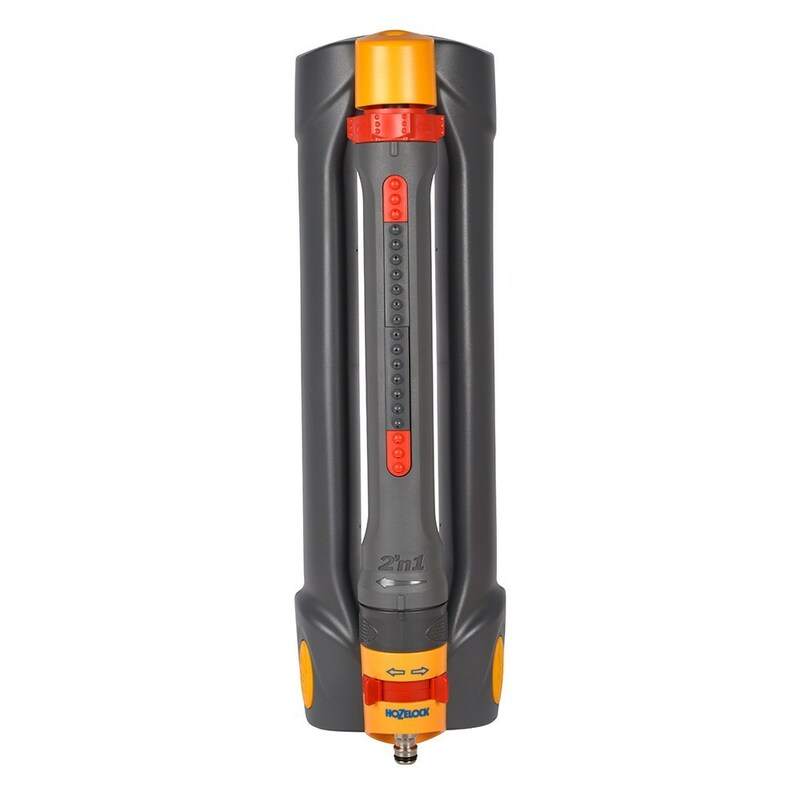 Fitted with a durable extended male end and an ultra-reliable water-powered gear-drive motor to ensure 100% even water coverage at any water pressure from 1-10 bars. Mounted on a sled base for stability on any surface - ideal for moving around the garden as needed. Supplied with a 2-year guarantee. For most gardeners, the main drawback of taking holidays away from home is the adverse affect it has on the garden. The dread of returning home to find knee-high grass, pest- and disease-ridden fruit and vegetables and container plants burned to a crisp.